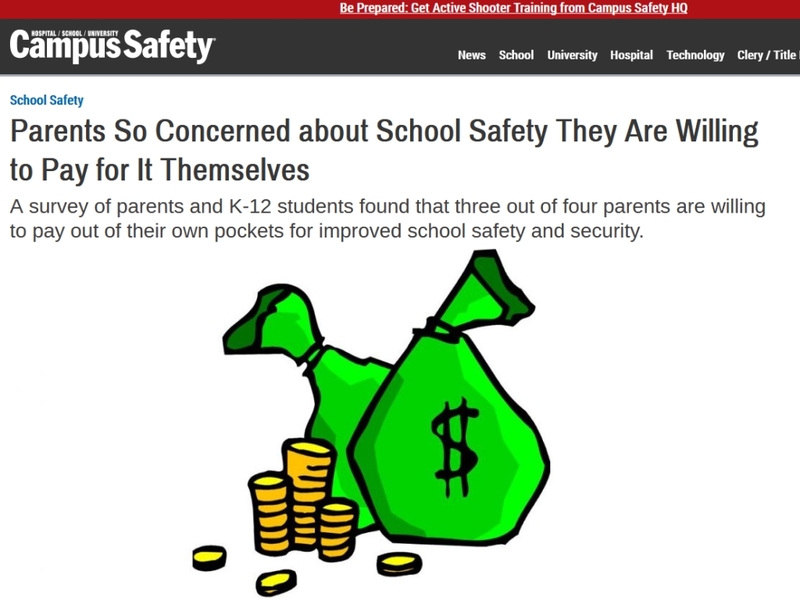 Campus security and safety of students, faculty, staff and infrastructure should be a foregone conclusion. Unfortunately, it is not. 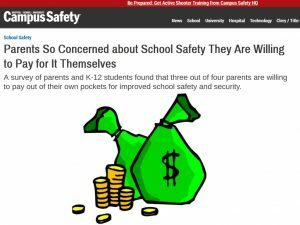 Campus Safety recently published an article entitled Parents So Concerned about School Safety They Are Willing to Pay for It Themselves. You can read the entire article here. Time and again we are horrified by active shooter events targeting students and faculty in education settings. As a community, we should all be outraged on many levels. First for the victims and their families. Second for the students, employees and their families who may not have physical wounds but still have damage from the event and the loss of trust. Finally, we should also be outraged for the shooters and their families who could not find or did not get the appropriate level of help for mental health issues and threatened campus security. In the case of active shooter events, everybody loses. It is so easy to react to these events and try to buy a sense of security by spending money on technology without looking at the whole picture. People cause security events – they are deliberate actions. Therefore, the appropriate response is an integrated response including people, processes, and technology working together. This supports the culture of the organization while providing guardianship over critical assets. As a parent and a security professional, I wish someone had a magic wand to keep the incomprehensible acts of violence from happening. Alas, no such tool exists. We must work together as a community to develop layers of campus security and safety. The entire community takes a role in the security of our schools. Training and awareness are critical components of an integrated security program. Parents, faculty, staff, and students must learn to “see something say something”. First, control and reinforce access with signage, policies, and procedures. Next, develop a culture that understands their role in identifying outsiders and responds appropriately. As adults, we should focus on policies and procedures. Finally, we must teach our children to tell an adult when they see something. A Safety and Security Committees of cross-functional team members is imperative to protecting our schools and businesses. Above all, sharing information, identifying threats, and supporting a collaborative appropriate response to all issues is critical. Finally, campus authorities can implement a host of technology tools, campus security personnel options, and ways to deter, detain, or buy time during an event. The point is, money doesn’t buy security solutions; integrated security does. At Protus3 we have been partnering with clients to develop the appropriate security controls and integrated security programs for over 30 years. We can help.